Iguazu Falls are a guarantee of an unforgettable trip, whether on Argentinean or Brazilian side, the amount of activities to do is inexhaustible, but not only is it a destination to explore natural attractions, jungle and see animals; Also the triple border is an excellent destination to do SHOPPING, and very convenient !. And if that’s what it is, our game called us. Let it be with Glamor there and I will share with you some tips to express the days of stay, knowing and also doing one of our favorite activities: to buy. To the people that visit cataracts in 3 days I can not understand it, in my case I was a week and I had so many things to do that I would need some more days. Of excursions they have to count 2 days for the National Park Iguazú (it is the Argentinean side, especially if they are going to make navigation in the river and trail Macuco or Isla San Martín) and another day for the park of Foz (Brazilian side, that if They go early can then combine with the Bird Park which is very close). That would be the basic plan of touring the Falls. If you want to add adventure tours through the jungle, Itaipu dam or Ruins of San Ignacio continue adding days to the calendar. And if you have the possibility of going to the walk through Iguazu falls under the moon even more. Therefore, in addition to doing these activities it is advisable to reserve at least one day for the other plan: to buy in Iguazu Falls and the Triple Border. I’m going to divide this entry into two items that would be the most important, the center of Foz de Iguaçu is pending since I did not have time to visit it and they told me that there were also offers, so in the comments if someone wants to contribute it’s welcome. FUNDAMENTAL TIP: Bring cash, Dollars as much as possible and weights for the Argentine side (and if they go to Foz they have some reales because with the Dollar they lose). In the Triple Frontier everything is bargained, and when I say everything, it is absolutely EVERYTHING. Do not be ashamed, it is common for everyone to do it and they will get you, even I asked for rebates, that you do not trade a candy. 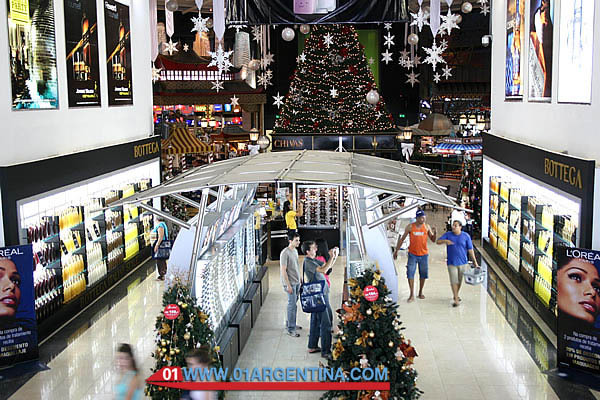 ARGENTINA – DUTY FREE SHOP PUERTO IGUAZU: Accustomed to the compact free shops of some countries, some more spacious than others, I did not imagine that the border could find a shopping center as large, modern and tax free as this. Not for nothing has several international prizes. This place was the glory of shopping, and I speak in the past because informants who traveled recently told me that things have changed. Being under Argentine jurisdiction is a little devoid of merchandise because of the growing restrictions on imports, which is why they can also pay in pesos to the official exchange, here are the debit and credit cards, if they are Argentineans or even foreigners. In spite of the obstacles this free shop continues being of the cheapest of the country. What can you find in the Duty Free in Puerto Iguazú? A huge free shop divided by sections: clothing, children’s, drinks, food, beauty and electronics. I spent hours in the beauty section, the fragrances, makeup and creams were at remarkably lower prices, even had products that are not even in Buenos Aires. I recommend buying perfumes, they are more accessible and some are not sold in traditional perfumeries such as those of Britney Spears (I’m going to apologize, but I’m a fanatic, I will someday reveal to you that dark detail). Clinique, Biotherm, Pupa and Lancome products, if you like the brand Victoria’s Secret it is better to bargain in Ciudad del Este that you get offers by buying in quantity. 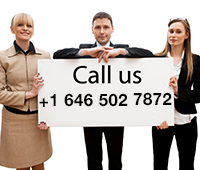 Alcoholic beverages are cheap and even carrying several bottles you can access more sales. We also brought treats. As for clothing, the prices were similar to those of Buenos Aires, not now with the exchange difference, but what they could get were brands like Guess, Kipling, Golla and even Hunter boots were cheaper. Also the good thing about the free shop is that they can add an additional USD 150 to the traditional franchise to enter the purchases that they make there. For more details of available products and brands, please go to the Duty free Puerto Iguazú page, also if you have any doubts you can write an email, quickly and kindly answer the query. On the other hand, in Puerto Iguazú you can also get good gifts to bring as souvenirs to family and friends, the yerba is excellent, I recommend that if they are materos buy several kilos, my favorite is the Tucanguá, but there are also some bags of hessian of room La Obereña brand that is rich and ideal to carry a present. Regateen in those places, offer to pay in cash in exchange for a rebate, and as Lita de Lázzari said, “walk, lady” that in some businesses is the same merchandise cheaper pesos. If they got to read up here I imagine they should be shopping fans like me. I wish you an excellent trip, Iguazu is an impressive destination, with landscapes that will leave you speechless; And if you are hesitant to go, make the investment because it is a unique place that you will never regret visiting. PARAGUAY – CIUDAD DEL ESTE: Here surely is where you are most interested in buying men. For this destination you have to get up early for the rest of the excursions as at 2 pm. close all; Keep in mind that the activities are always daytime, at 7 am they have to be ready and having breakfast to leave. There are two safe ways to go from Puerto Iguazú, one is from the terminal of micros, you can buy a very economic differential passage that serves them back and forth, leaving them in the central square where the stalls, shops, malls and galleries converge. For the return they take it there too. Another way is to go with a combination of tourists or a reliable remis that you are recommended in the hotel where they are staying, this is the most expensive option but the most convenient if you go in a group or if you have many things to bring, Chauffeur gives them a door-to-door service, they can manage discounts in some places, ease the way through the border and they will feel safer, it is ideal to go with older people. What makes Ciudad del Este so attractive? Their excellent tax-free prices in electronics, perfumery, makeup and even clothing. The important thing is to go with previous information to know which galleries to enter and the prices that are being handled. Notebooks, Macs, tablets, cell phones, digital cameras and musical instruments and accessories find unbeatable offers. Do not buy at street stalls, there is a lot of imitation, and do not be tempted by the prices of sneakers out there because many are not original.